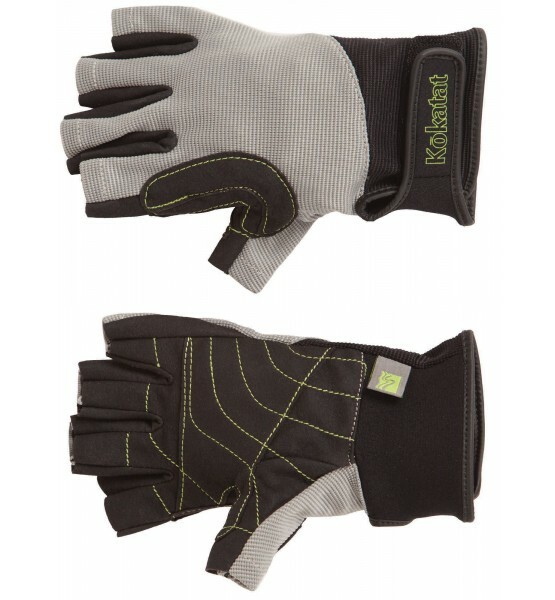 Kokatat Lightweight Glove: Fingerless design with a nylon spandex upper offers sun protection for back of hands yet remains cool in the height of summer. Double Amara synthetic suede palm with reinforcement in high-wear areas will save your palms after many trips down your favorite river. Stohlquist 3mil Paddler: 3 mil neoprene gives warmth and protection when the water is cold. Solution Eclipse Paddle Glove: The Eclipse Glove not only gives you protection against the sun, it also helps prevent blisters on those long Paddles. Good hand protection is key to an enjoyable day. NRS Toaster Mitts: The warmest paddling "glove" on the water. Its mitten-style design lets your fingers snuggle together for warmth. The pre-curved shape and grippy palm let you paddle and row with comfort and confidence. 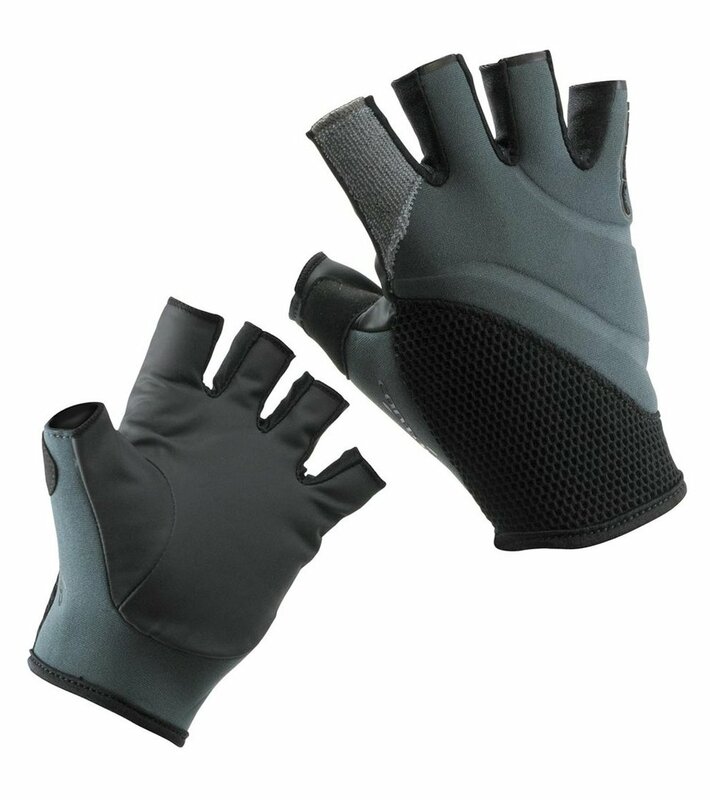 Kokatat Neo Kayak Mitt Short: Both the short (6") and long (8") versions use a 3 mm neoprene to keep hands toasty and feature a wide cuff opening for easy entry. The long version may also be secured around a paddle shaft when not in use. Kokatat Neo Kayak Mitt Long: Both the short (6") and long (8") versions use a 3 mm neoprene to keep hands toasty and feature a wide cuff opening for easy entry. The long version may also be secured around a paddle shaft when not in use. NRS Hydroskin Glove: When it's too cold to go gloveless, but you don't need winter protection, NRS Men's HydroSkin Gloves will cut the chill without sacrificing grip or feel. Less bulk, total comfort, just enough extra warmth. Kokatat Tropos Kayak Mitt: When the wind kicks up, keep your digits warm! 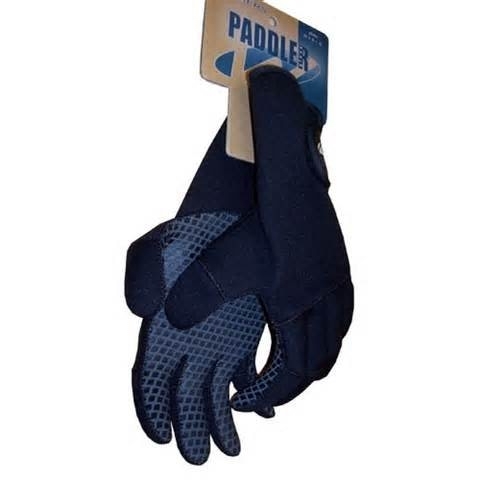 The "hook-and-loop" closure easily secures around the paddle shaft and the pile lining will keep your hands toasty. Our proprietary Tropos waterproof breathable fabric, treated with a durable water repellent coating (DWR), keeps the splashing water off your hands. Seeker Boot: This ultra-lightweight, highly flexible, low profile paddling boot is designed for use in whitewater play boats and low volume touring kayaks. The single hand adjustable shock cord lacing system allows for precise volume adjustment and fit. A 0.5mm superstretch neoprene lace cover eliminates the snag hazard associated with other lacing systems. Made from 3mm double lined neoprene with ultra-thin vulcanized rubber sole, toe cap and heel counter, the seeker provides comfort, durability and enough protection for put-ins and portages. Nomad Mukluk: Perfect for touring and canoeing, the Nomad is an waterproof adjustable volume 3mm double lined neoprene paddling boot with a unique covered lacing system that gives a precise fit while eliminating the potential snag hazard. The waterproof/breathable upper gaiter provides protection during launch and comfort in variable temperature and weather conditions. Stohlquist Tideline Boot:The Tideline features a 5mm neoprene upper, heavy-duty zipper, and gusseted zipper opening which helps to reduce water exchange. 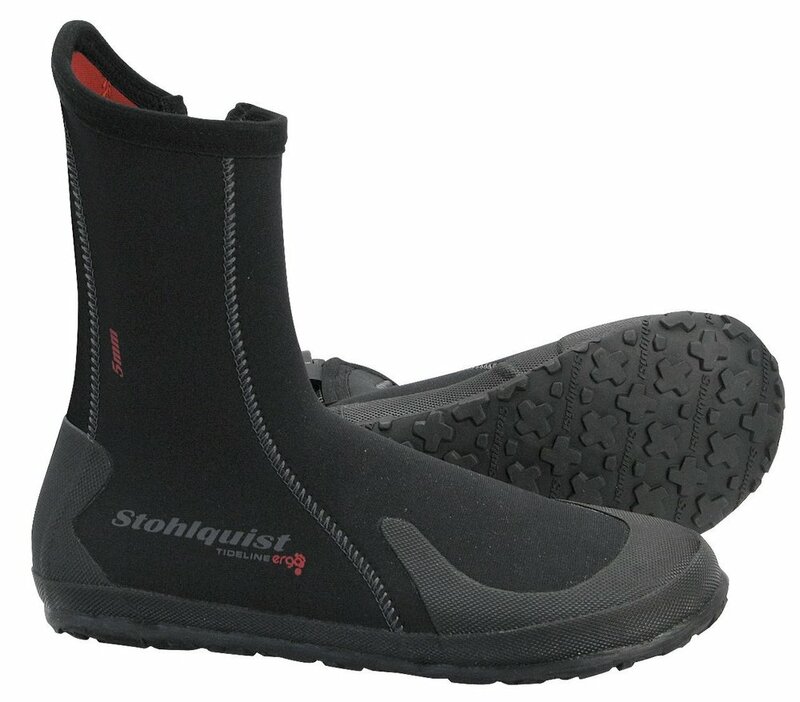 The thick rubber outsole features a proprietary Stohlquist tread pattern for outstanding traction. The ergonomic shape, which echoes the natural shape of the foot, allows for the best possible fit and comfort in a paddling boot. The Ergo™ shape also helps to increase the overall warmth of the boot, by contouring the foot and minimizing water pockets. Aqualung Seaboard Watershoe: The perfect watershoe for those who do not need the coverageand warmth of a traditional neoprene bootie. Great for recreational paddlers and SUPers enjoying warm days on the water. Kokatat Surfskin Strapcap: Integrated chin strap with quick release buckle. Bound edges for snug, comfortable fit. Gath Gedi: Combines higher levels of impact protection with close fitting comfort and low drag performance. The Gath Gedi is fully convertible with removable ear protectors, visors and peaks and can be customised for a perfect fit to any head shape with Gath’s unique Comfort Strip Fitting System. Kokatat Surfskin Balaclava: Great protection from wind, rain and cold shock during immersion. Polartec 100 fleece covers mouth and can be pulled down when necessary. Gath Surf Convertible: Designed for the surf, is the lightest helmet available worldwide. Its unique fitting system provides an incredibly snug comfortable suction cap fit idea for punching through waves. NRS Mystery Helmet Liner: Keep your head warm under your helmet. Compact and easy to stow, don't go on the water without it. Mystery material has a Glideskin™ exterior that sheds water and 2.5 mm neoprene for outstanding insulation and warmth. NRS Chaos Helmet: The NRS Chaos Water Helmet is an excellent choice for kayakers, rafters, stand-up paddlers and canoeists looking for safe, economical and comfortable head protection. NRS Anarchy Helmet: The NRS Anarchy Helmet takes whitewater safety to a whole new level. Its BOA ratchet retention system and revolutionary ConeHead™ liner provide a level of protection conventional designs can't match.